The introduction of blockchain tech to the gambling industry would deliver much needed permanent, verified records on a distributed ledger that cannot be manipulated, such an attribute providing much-needed transparency across the online industry. The Blockchain technology will change the gambling industry. These days the term “Blockchain casinos” has gained immense popularity and if we take just the Blockchain technology into account, it can be safely said that this technology is being extensively applied not just in the online gambling industry but in various other sectors such as banking sector, the insurance people are also using it. Aside from this, you will also find that blockchain technology has become an important part of payment portals, making money transfers and so forth. However, its role in the gambling industry has been emphasized upon in this write-up. So, read on for more information. The symbiosis between crypto and gambling doesn’t seem to be getting weaker either. Malta, a country that is known as a pioneer in the gambling industry, is planning to legalize the use of Bitcoin and other cryptocurrencies at online casinos, and is currently exploring the best options to do so. Yes, the future looks bright for these two, so let’s take a look at how Blockchain technology is changing the gambling industry today. The wisdom of the crowds is a concept that is currently under the spotlight in the cryptosphere. Several projects leverage Blockchain technology to create decentralized prediction markets where users can bet on the outcome of an event, and having data from the event outcome introduced in a trustless manner. Although prediction markets were around before the Blockchain, their centralized structure grew far too problematic. Not only do these markets allow users to bet on pretty much anything, from the weather to sports events and elections, the data generated by the collective bets can also create a fairly accurate forecast on the outcome of that event. Magos, a complex forecasting model, leverages neural network technology to mine this data and filter it, creating highly accurate forecasts and positive returns for token holders. As we can see, cryptocurrencies and their underlying technology, the Blockchain, are changing the very fabric of online gambling. This affinity can be partially explained by human nature. Blockchain tech has come as a highly disruptive solution to problems that are inherent to many systems in our society and economy. In the gambling industry, these problems were heavily felt and crypto came just in time to save the day. 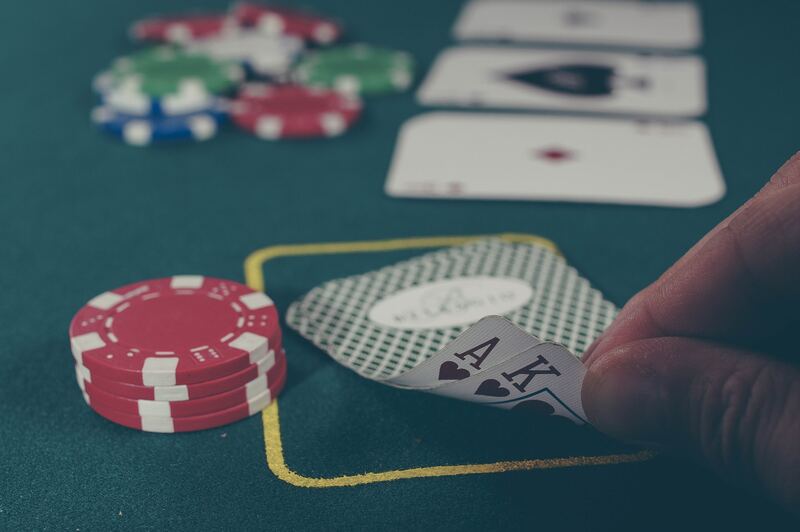 Using cryptocurrencies for gambling has become a widely popular solution for casinos, either as a main payment system or as an alternative to fiat-based ones. The advantages are many and well documented. Using cryptocurrencies allows the user to gamble anonymously, without the need to hand over copies of documents or even create an account, depending on the platform. Smaller fees and almost-instant deposit times, have also made cryptocurrencies ideal for gambling, especially when it comes to small to medium movements. Lastly, cryptocurrencies have also been able to make online gambling accessible again, providing a low entry barrier for new players and allowing them to circumvent gambling regulations that apply to fiat only. Although Bitcoin is not the first cryptocurrency in history, it was the first one to provide a decentralized structure. This model allows not only for immutability and security, but also for a democratization of value creation. In Bitcoin, anyone can become a miner, profiting from newly issued coins, something that only bankers knew prior to Satoshi’s masterpiece. Blockchain technology brings this same characteristic to gambling, allowing anyone to be a member of the casino itself. Although some Bitcoin casinos allow users to fund the casinos and profit from a share of the house edge, these concept has been taken to the next level by crypto platforms like Ethereum, where projects like vSlice and many others have created a system where token holders receive automatic dividends from the profits generated by the platform. Wager, on the other hand, employs its own Blockchain network to provide a decentralized sportsbetting platform in which event outcomes are reported by a network of oracle masternodes. We all know that the house always wins. That’s why people build casinos in the first place, right? It’s all about making a profit in the long run, while the customer gets to enjoy himself and win big sometimes. Over time, however, the casino is always sure to make a profit and gamblers have grown to accept this. Problems arise, however, with the lack of transparency that is prone to online casinos. If the gambler cannot be sure that the casino is indeed playing by the rules, he may not want to enter the game at all. However, cryptography has made it possible for gambling platforms to prove that they are indeed honest. Although this concept was not made possible by Blockchain technology itself, but rather by cryptography, Blockchain technology and smart contracts have taken it to the next level, allowing for more complex systems.